Adjacent to the property is a 55,000 sq ft Morrison’s food store, KFC and Marston’s pub. 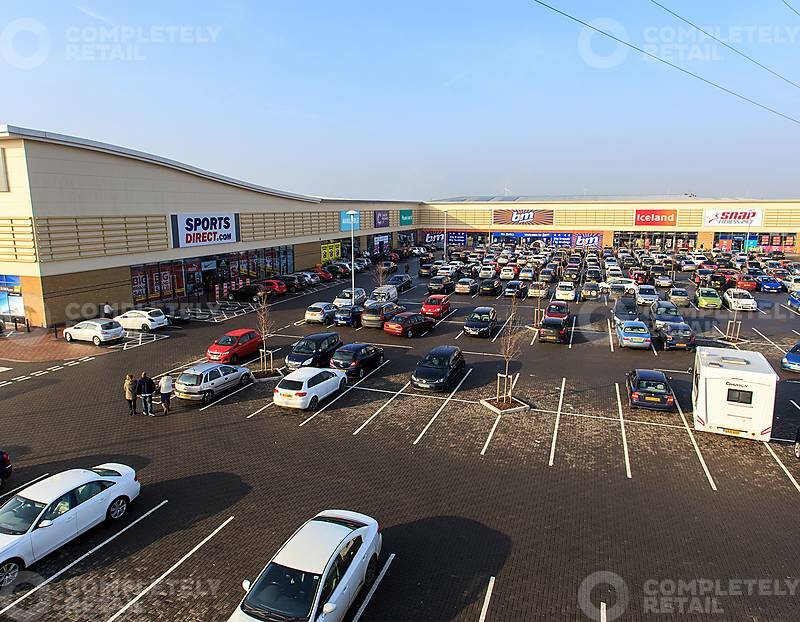 A 15,554 sq ft leisure extension is under construction immediately adjacent to the scheme with Tenants including Starbucks, Burger King, Costa Coffee and Subway has recently been completed. The Isle of Sheppey is located on the north Kent coast. The island is approximately 13 km (8 miles) north of Sittingbourne, 29 km (17 miles) north east of Maidstone and 81 km (50 miles) east of Central London. Prominently situated off the A249, the main dual-carriageway onto the Isle of Sheppey, the A249 connects the town to north Kent joining the M2 at Junction 5 and the M20 at Junction 7. 5,000 – 7,500 sq ft available.